Friday is the last day to enter to win 1 of 3 Sleep Innovations® Rejuvenation™ Memory Foam Pillows. 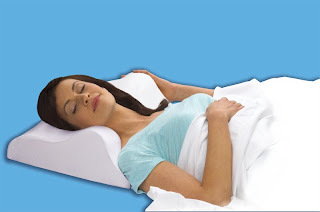 These pillows are designed to support your neck and head for a better night's sleep. The giveaway ends at NOON so be sure to enter. Friday is the last day to RSVP to attend the FREE Taping of Public TV Special: "Trial & Heirs - Tips to Protect your Family Fortune" in Wixom, MI. Legacy expert attorneys and authors, Danielle & Andy Mayoras, use faux-pas and blunders from famous celebrity estate cases and famous courtroom clashes as examples of what not to do when planning your estate. Use this coupon to get a FREE child's admission with purchase of an adult admission for the Friday performance of "Salute to America" at Greenfield Village in Dearborn, MI. This yearly event is always a crowd favorite so be sure to get your tickets today. 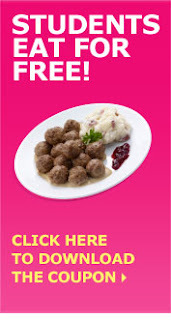 Saturday is the last day for students to get a FREE meal at your local IKEA. Just present the coupon and your student ID to get a FREE entree. The maximum coupon value is $6.99. On Saturday, take the kids to the Home Depot for their FREE Kids Workshop from 9am to noon where the kids will make a coaster set. Also on Saturday, make sure you go your local Walmart for their FREE Ice Cream Social Event where FREE Nestle Drumsticks will be given out while supplies last. YUMMY! Go to your participating Chili's on July 4th where two kids eat for FREE with the purchase of an adult entree. ... and also this coupon to get an extra 30% off at your local Coach Factory Store. 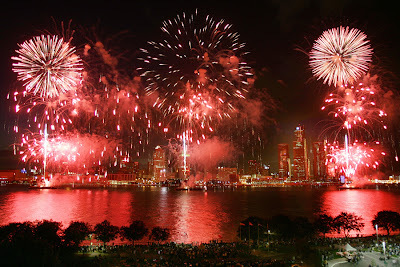 And to end this 4th of July Weekend, remember that all active military personnel and their families get FREE Admission to the Detroit Institute of Arts (DIA) thru Labor Day. The DIA offers an array of great art and activities during the summer. The popular exhibition It’s a Zoo in Here! Prints and Drawings of Animals is on view, and on June 29 a new installation of puppets was put on display. Buy one entree, get a second of equal and lessor value for FREE at Andiamo restaurant. Max value off is $10 for lunch and $20 for dinner. Valid at any Andiamo Restaurant or Mesquite Creek. Dine-in only. Must provide server with one printed voucher for each complimentary meal. No separate checks. Least expensive entrées are free. A mandatory purchase of at least two beverages is required. May not be used in conjunction with any other offer or discount, or when ordering from promotional menus. Mille Grazie Dollars and Costco Gift Cards may not be redeemed in conjunction with this offer. Click here for Andiamo July BOGO entree coupon. Chocolate Chunk Cookie Poppers? YUMMY! Print this coupon good for one FREE bagel poppers with any beverage purchase at Einstein Bros Bagels. Coupon expires on July 16, 2011. Get an extra 30% off at the Coach Factory Outlet with this COUPON that expires on Sunday July 10, 2011. BOGO Ice Cream? YUMMY for my Tummy and Wallet! 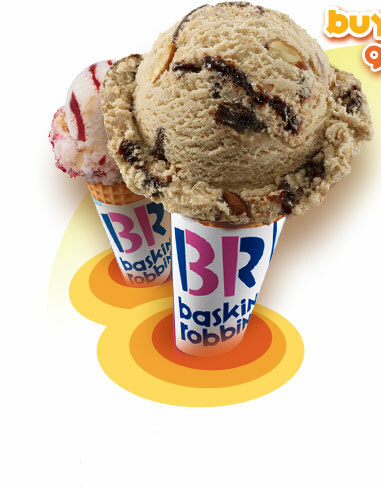 Print this Buy One Get One FREE coupon and head to your nearest Baskin–Robbins® right away. When you buy one scoop or swirl, you’ll get one free. This offer ends July 4, 2011. I have wanted to buy another domain name for awhile now, but I did not want to pay full price for the priviledge. But today I bought a NEW 1-year domain name registration at GoDaddy for only $1 by using the Promo Code JILLIAN1. 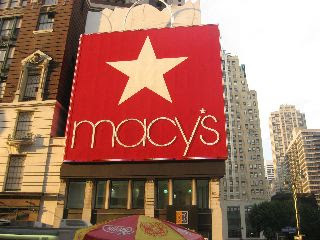 Click here for your 15% off Macys Wow Pass. This Macys 4th of July Sale pass is good thru Monday, July 4th. I only vaguely remember the first and second Transformers movies (from 2007 and 2009), but the second one did not fare well with critics. 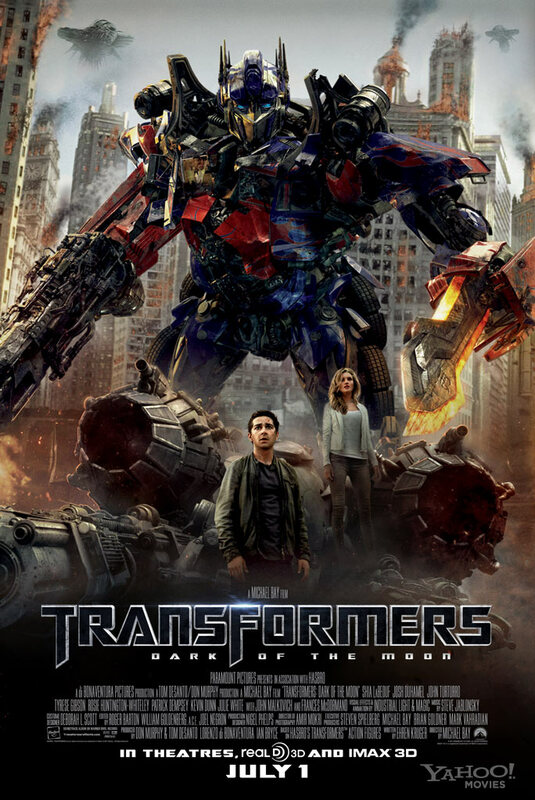 With this third movie, director Michael Bay aimed to "reboot" the series, to speak, and he definitely achieves this; the movie was easier to follow and the 3D was excellent. Sam Witwicky (Shia LaBeouf, "Wall Street: Money Never Sleeps") has graduated from college and is looking for a job, and is frustrated that even though he has saved the world (twice, he says) and has received a medal from the president, the only jobs that will hire him are menial ones. He is living in D.C. with his girlfriend Carly (newcomer and model Rosie Huntington-Whitely) in her enormous apartment, and his parents are coming to visit soon, which means he needs to find a job ASAP. He takes a job in the mail room at a computer company, only to find out that the Decepticons have returned, and some of them are even present at the company. Sam calls the government agents working with the Autobots, and together they must try and defeat the Decepticons as the Decepticons try to take over the world and conquer the human race. The first time I tried out Shout Wipes, I received some for FREE at a conference that I attended. Back then, I used Shout® Wipes to get out stains in my clothes that my son helped to put there. 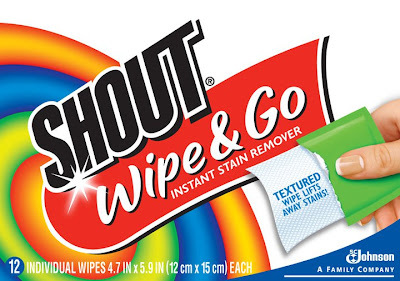 Shout® Wipes are portable, so you can use them to remove on-the-go stains right away. There's no need to rush home for a change of clothes or an emergency wash, and you don't have to go through the day with an embarrassing stain. Shout® Wipes are available at local stores and online. For a limited time, you can get a sample of Shout® Wipes at this link. Three (3) FREEISMYLIFE Readers will each receive one box of Shout® Wipes. HOLLA to the FREE! - The contest ends on Friday, July 8, 2011 at 11:59am EST. - The winnesr will be selected by random number generation. - Prizes will be fulfilled to the winners by the PR company for Shout®. - You can get 1 extra giveaway entry for tweeting the following message on Twitter "I entered the @freeismylife giveaway to win 1 of 3 boxes of Shout® Wipes http://bit.ly/kTp3O7"
The Detroit Institute of Arts (DIA) announced it will provide residents of cities participating in the museum’s Inside Out program with four (4) FREE general admissions to a DIA Family Sunday. Inside Out brings high quality reproductions of paintings from its collection to the streets and parks of the greater metro Detroit area, showcasing the richness and diversity of the museum’s extensive collection. The free admission day is a way of thanking the communities for their participation and for helping make Inside Out such a success. The museum hopes that after discovering the reproductions around town, residents will come to the DIA to see the actual work of art, and enjoy some of the special Family Sunday activities, including drop-in workshops, drawing in the galleries, tours, and family-friendly performances. Here’s how it works: Residents who provide a driver’s license or state ID on the date specially designated for their city will receive four free general admissions to the DIA. Activities are included, but ticketed exhibitions are not. Communities participating in the fall and next year will also receive free general admission to a Family Sunday. Dates will be announced when the next round of works are installed. Museum hours are 10 a.m.–4 p.m. Wednesdays and Thursdays, 10 a.m.–10 p.m. Fridays, and 10 a.m.–5 p.m. Saturdays and Sundays. Admission is $8 for adults, $6 for seniors, $4 for ages 6-17, and free for DIA members. For membership information call 313-833-7971. A Game that Rewards You for Doing Good? Yes, It's called "A Better World"
Back in Febuary, I started playing the Facebook game "A Better World" which was created by a company called ToonUps. In "A Better World", you get to setup a home in your own virtual world and then shop, earn money, and interact with the people in the town where you live. I can make my avator look just like I do in "A Better World"
Earn Money By Doing Good - Love that! I love that I was able to make my virtual self look like my real self by choosing skin color, hair color, nose, eyes, clothing - the works. Then I was given some money (hello, you know I love having money) and let loose to build my life. But the really great thing about A Better World is that you earn money from doing good! Yep, you earn Do Good Gold and Better Bucks by performing acts of kindness. There are many ways to earn by doing good in A Better World. You can go to Gratitude Grotto and write notes about all the things for which you are thankful. You can also see the notes that other users have written about the things they are thankful for. You can go to the post office and write Positive Posts to your friends containing words of kindness. And you can play Three Cycle, a recycling game. Kiss the Negative Thoughts Goodbye! My favorite thing to do is Thumping Thoughts, an Arcade game where you get to take a mallet and hit all your negative thoughts over the head. The faster you thump those negative thoughts, the more Do Good Gold you earn. You can then use your earnings to buy things for your home or clothing and accessories. You pet lovers can even go to the Pet Shop and buy puppies, kittens and even a magical unicorn. Henry Ford Health System invites the public to attend Healthy Living Seminars, free presentations on health topics by experts. The programs will be held at the Henry Ford Self-health Center, 23400 Allen Rd., in Woodhaven. Concerned about falling at home? A certified rehab specialist will discuss risk factors, and tools to help you create a safe environment at home. Tuesday, June 28 4 - 5 p.m. Ever wonder what SPF, UVA, & UVB is all about? Get the answers to those burning questions and more. Learn how to correctly apply sunscreen and which one to use. Each guest will receive a UV detection wristband. Wednesday, July 13 6 – 7 p.m. If you want to catch melanoma before it catches you, you need to bone up on the alphabet. Find out how dermatologists make watching for skin cancer as simple as A B C. Learn the signs, symptoms and treatment of scabies. Wednesday, July 13 7 – 8 p.m.
Space is limited, and registration is requested. For further information, or to register, please call (734) 676-3813. Do you love ice cream? How about some FREE ice cream! Walmart is hosting “The Walmart Ice Cream Social” on Saturday, July 2nd, where they will feature free samples of Drumsticks and Lil’ Drumsticks. Music by Mr. B's Joybox Express and Maraca and screening of Africa United at Detroit Institute of Arts for FREE "Concert of Colors"
For the second year, the Detroit Institute of Arts (DIA) is participating in the Concert of Colors, metro Detroit’s FREE annual diversity music festival. On Friday, July 15, the DIA will host concerts by Mr. B’s Joybox Express and Maraca, and will show the movie Africa United. The museum is open from 10 a.m. to 10 p.m. that day, and museum admission and Concert of Colors events are FREE. HealthPlus of Michigan is sponsoring the DIA’s Concert of Colors offerings. Mr. B’s Joybox Express will perform at 4:30 and 6 p.m. Mr. B will embark on a cross-state “Joybox Express” bicycle ride in Saugatuck on July 1 that will end at the DIA for these performances. The Joybox Express is a custom made bike that nestles a 352-pound piano. Mr. B is joined by an ensemble of musical bikers, including guitar, bass and drum. Maraca will perform at 7 p.m. in the DIA Auditorium. Orlando “Maraca” Valle is one of the most famous contemporary Cuban flautist in the world. Maraca has been leading different bands and projects for more than 15 years with performances in some of the most prestigious international jazz festivals. Maraca's original style of fusing jazz improvisations with Afro-Cuban roots (rumba, danzon, chachacha, mambo, son & timba), has made his sound highly recognized as the epitome of Cuban popular dance music. Africa United will be shown at 9:30 p.m. It tells the extraordinary story of three Rwandan children who walk 3000 miles to South Africa, hoping to attend the Soccer World Cup. Armed only with ingenuity, sass, and a World Cup wall chart for a map, the pint-sized protagonists set off through the endless horizons of Africa in pursuit of an unlikely dream. Along the way, they gather a tribe of broken and brilliant characters who help them negotiate through a series of glorious, dangerous, hilarious and often bizarre situations. 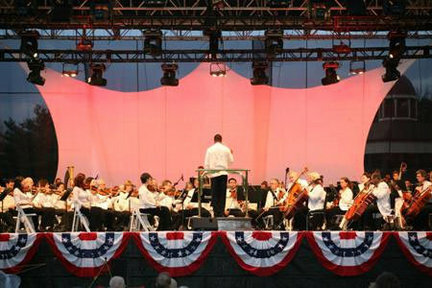 The Concert of Colors is presented by the Arab American National Museum, Detroit Symphony Orchestra, Detroit Institute of Arts, Charles H. Wright Museum of African American History, New Detroit and ACCESS with the goal of bringing together metro Detroit’s diverse ethnic communities by presenting music from around the world. Over its 19-year history, the festival has become a beloved highlight of metro Detroit’s summer festival season, and one of the few free-admission music festivals remaining locally. For this year’s schedule, visit http://www.concertofcolors.com/. Shout® Wipes are portable, so you can use them to remove on-the-go stains right away. There's no need to rush home for a change of clothes or an emergency wash, and you'll never have to go through the day with an embarrassing stain. Yummy in my Tummy AND a BOGO! Buy one and get another one FREE for McDonald's Frozen Strawberry Lemonade, Frappe or Real Fruit Smoothie. Participating locations only. The coupon expires on July 31, 2011. People have loved the smooth, creamy richness and flavor of BAILEYS® Original Irish Cream since it was created over 30 years ago. Now now you can enjoy this rich flavor in your coffee anytime they want. 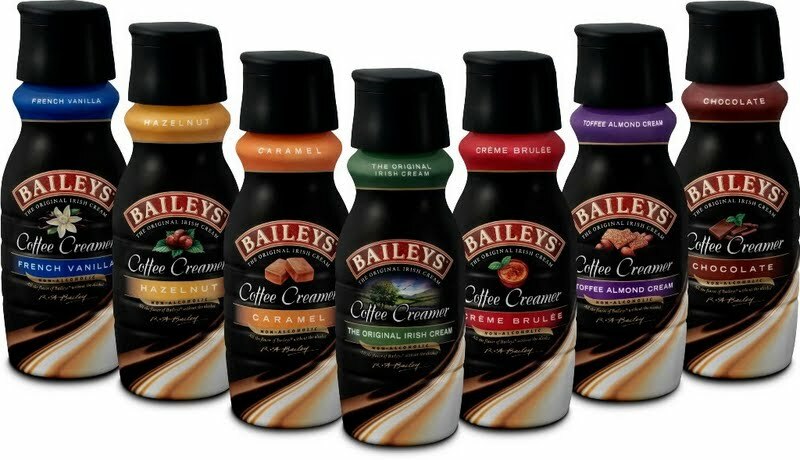 BAILEYS® Coffee Creamers are non-alcoholic flavored coffee creamers, with all the quality and taste for which BAILEYS is known. BAILEYS Coffee Creamers are lactose free and can be enjoyed by individuals with lactose intolerance. All seven flavors are available in 16-oz containers at a suggested retail price of $2.59, while three flavors — french vanilla, hazelnut and The Original Irish Cream — are available in 32-oz containers at an suggested retail price of $3.99. 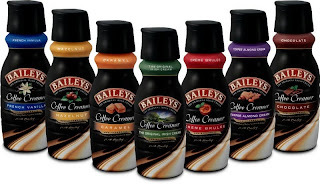 Three (3) FREEISMYLIFE Readers will each get 2 coupons for FREE BAILEYS® Coffee Creamers. Each coupon has a value limit of $4.99 and expire on 12/31/2011. - The contest ends on Tuesday, July 5, 2011 at 11:59am EST. - Prize will be mailed to winners via US mail. - You can get 1 extra giveaway entry for tweeting the following message on Twitter "I entered the @freeismylife giveaway to win 2 BAILEYS® Coffee Creamers FREE product coupons http://bit.ly/iRizoJ"